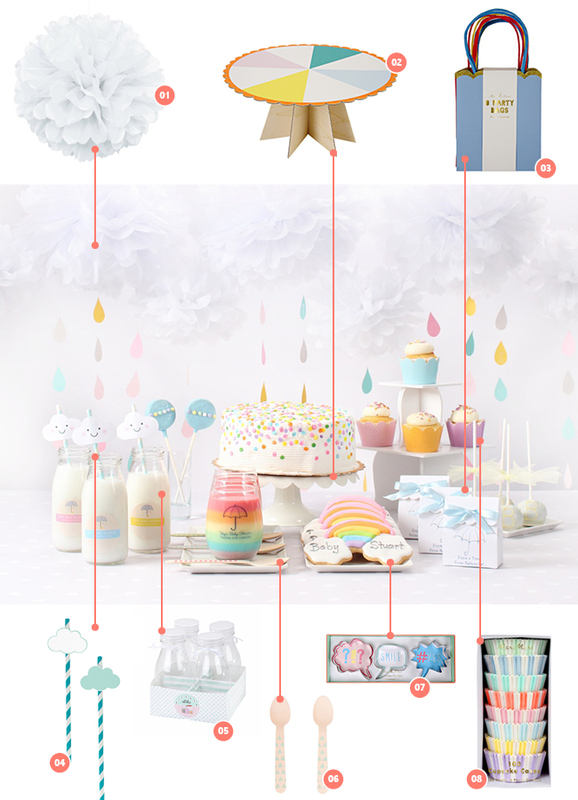 Having a baby shower is one of the most special celebrations, and what better theme to go with than clouds to mark this occasion. 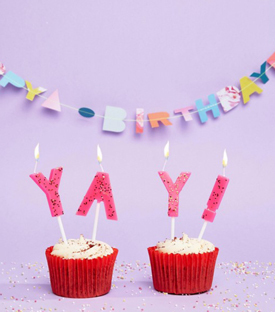 It’s gender neutral, perfect for the mom-to-be who doesn’t know if the baby is a boy or a girl or who doesn't want to quite reveal the surprise just yet. 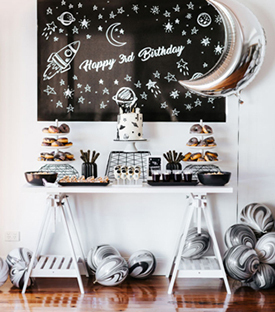 This new theme is just divine and you can decorate an entire baby shower with our new Cloud collection of plates, napkins, straws, balloons and more. Mixing your white clouds with some rain in the form of pops of colour is just adorable and the colour pallette is bang on trend. 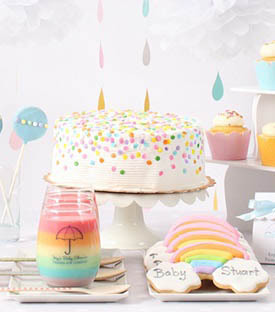 The cute stripey straws, raindrops hanging from white pom poms and colourful cupcake cases really set the mood for this cloudy birthday shower. 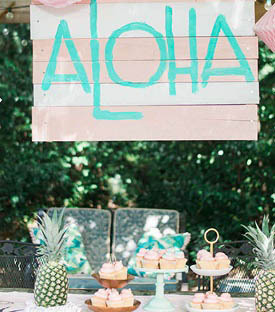 Tie this theme together with your invitations, decor and menu. 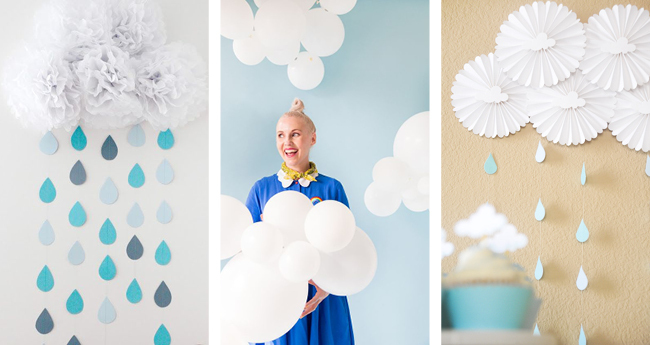 Below are some ideas on how to decorate your walls with this cloudy theme. 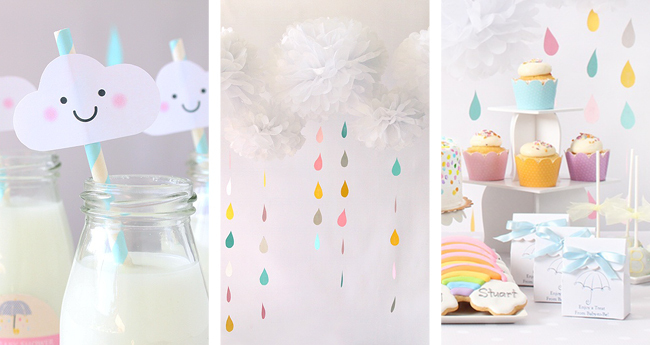 Cut your own raindrops from cardboard and suspend them from your paper decorations. 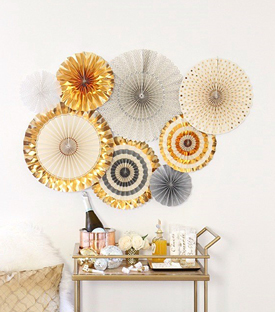 Paper decorations can include pom poms or pinwheels. 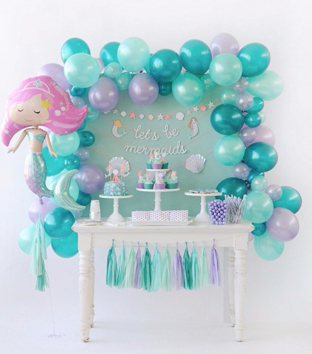 Alternatively you can combine a few white balloons to create a fun balloon cloud. 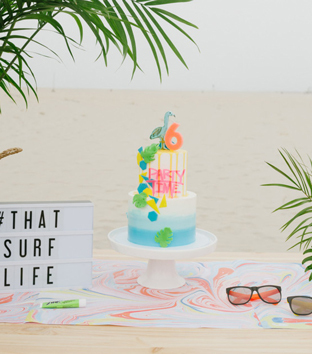 When looking for creative food ideas to decorate your cloud themed table, start with the cake, a cloudy cake. 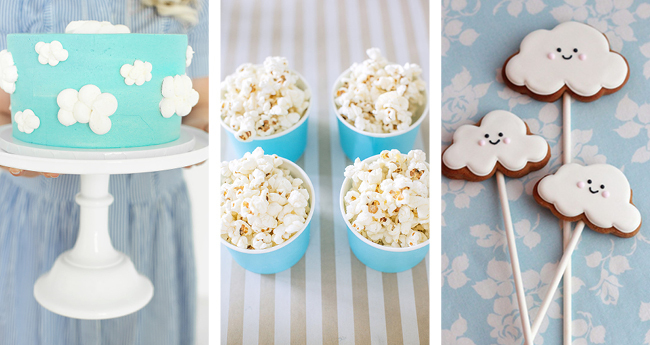 Keep snacks simple - such as popcorn in blue treat cups or have vanilla frosted cloud shaped cookies. 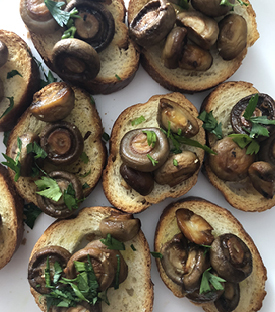 To see the full tutorial on how these were done, simply click here. 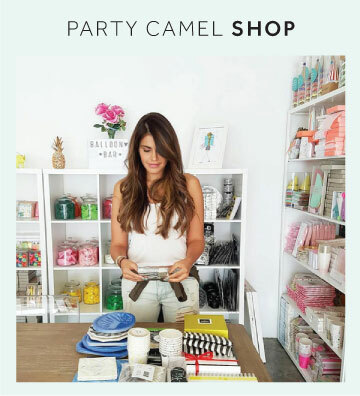 Want to recreate the look? 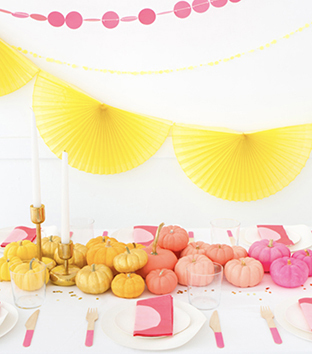 Start with background decorations. 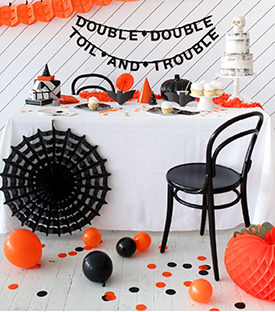 We suggest to use our white pom poms (1) as a base colour and prop. 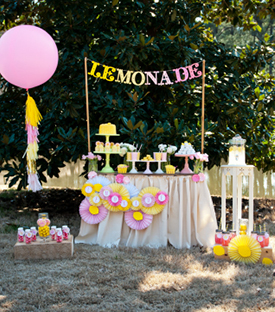 Place your cake on one of our fun cake stands (2) - the scallop edge on this stand will show off your cake beautifully. As an alternative to white gift bags, check out our gorgeous pastel bags with sparkly gold glitter and twisted paper handles (3). 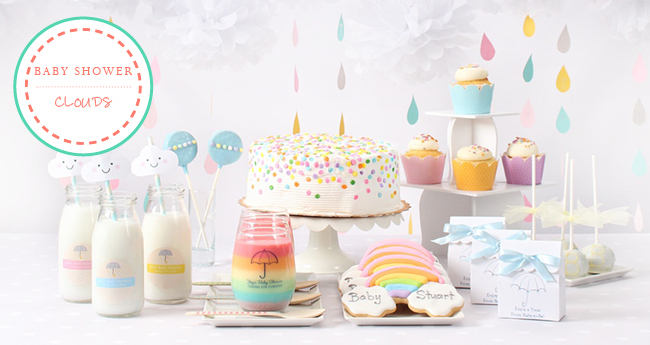 Our cloud straws (4) and mini milk bottles (5) are just perfect to quench your thirst and feast on treats with our beautiful wooden cutlery (6). 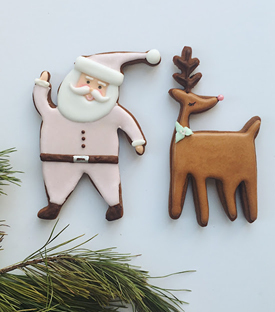 If you are keen to bake your own sugar cookies, you cannot go wrong with our adorable cookie cutters (7). Last but not least, display your cupcakes in our beautiful pastel cup cake cases (8) for a finishing touch! 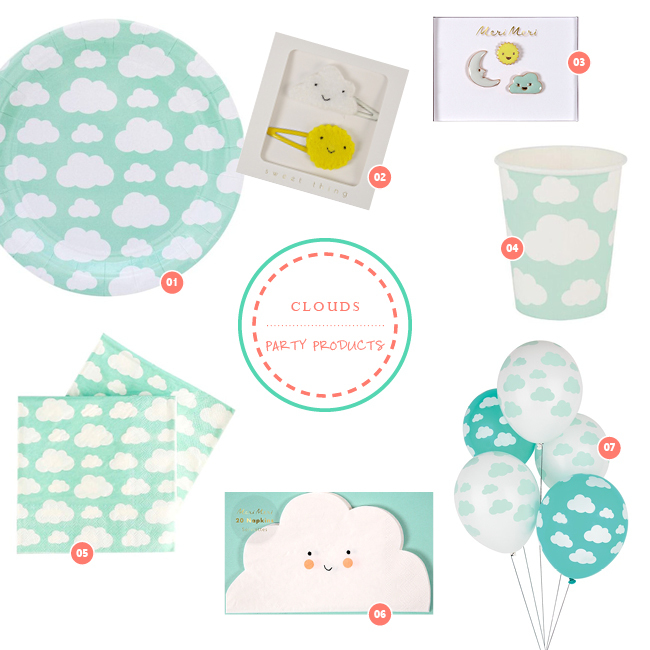 If you are looking for more cloud themed products, look no further, we have a selection for you as below. 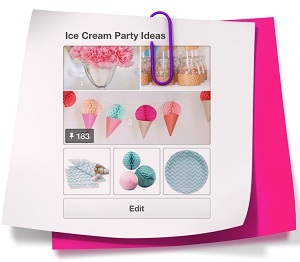 Our FAVOURITE product from thsi theme is probably the Cloud Shaped Napkin. With a cute smiley face you can but only smile! Our set of beautiful enamel pins with sun, moon and cloud motifs and happy faces make the perfect going home gift. 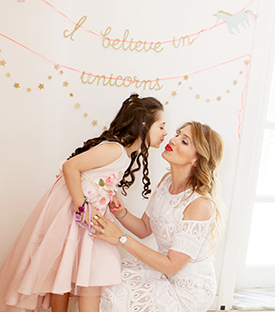 One is never too old to wear a pastel cloud with gold details! Oh hello there little angle.. 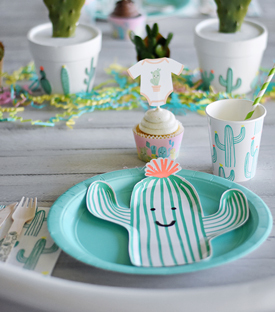 Happy baby shower! 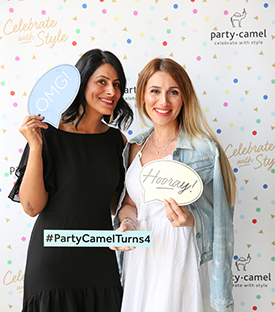 Hi there, I'm Aisha, mummy of two little treasures who inspire me everyday! 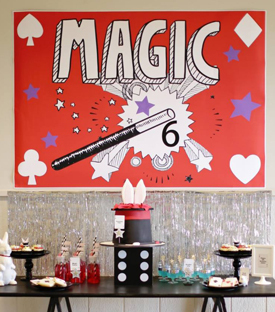 I love creating parties, and everything that goes into making your little ones special day as magical as possible. 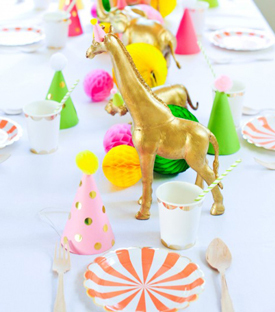 On my blog you will find ideas and inspiration on planning that perfect party. For latest newsletters subscribe to our mailing list by entering your email address on our homepage.